Do you want to unite with other Bay Are residents in fighting for housing, immigrant and economic justice? Become a Cause Justa :: Just Cause (CJJC) member! 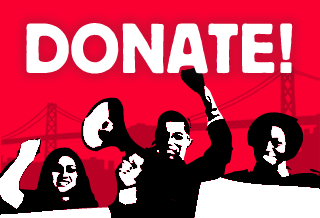 CJJC is a multi-racial organization of African American and Latino residents of both Oakland and San Francisco who are united to fight for housing justice and immigrant rights. CJJC members are leaders and help develop and execute local campaigns to win protections for tenants and homeowners as well as for the immigrant residents of our communities. CJJC members also participate in various local and national alliances of folks from other cities whose struggles are similar to ours. Unity is strength! Join us now!